“My mother was a free spirit, an egalitarian and a bohemian, and ended up getting sent away to school because she was always running off to work with Diego Rivera on his murals. And all this was when she was just 10 years old. You know, she never really cared for Frieda Kahlo very much.” So begins Alejandra Brilanti’s story of her mother Ana Nuñez Basso de Brilanti, the matriarch of the Brilanti family of Todos Santos and renowned silver artisan of Taxco. While the likes of Eleonor Roosevelt ultimately became fans and customers of Ana’s, and her story is featured prominently in the histories of the silver jewelry industry in Taxco, it can be definitively declared that her artistic success was not her mother’s fault. When Ana was a little girl one of her sisters died and was laid out in the family parlor for 3 days. Ana thought the scene was beautiful and painted it. Her mother thought the painting was blasphemous and smashed it. These constant struggles over art earned Ana a passage to boarding school where, at the age of 14, she graduated to a teaching position to contribute to the family income. She worked incredibly hard for the rest of her life, but – despite her mother’s best efforts – she worked doing what she loved most: art. Ana and her husband Rafael moved to Taxco from Mexico City in the 1930s for Rafael’s government job. 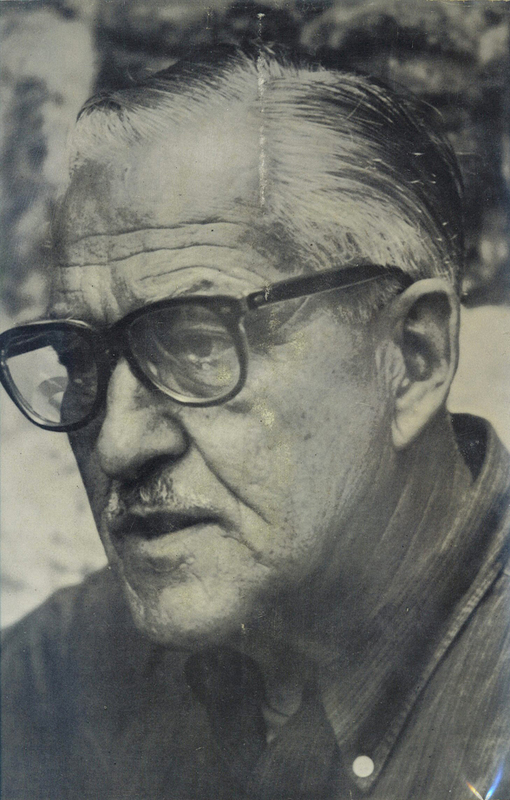 Around the same time, an American named William Spratling left his job as an instructor in architecture at Tulane University in New Orleans (where he shared a house with William Faulkner) and moved to Mexico full-time. He became an integral part of the Mexican art scene, and used the proceeds of a commission earned securing a New York exhibit for Diego Rivera to purchase a house in Taxco. At this time, the early 1930s, Taxco was famous for the production and export of silver, but there was no silver jewelry industry in the town to speak of. That all changed under Spratling. He opened his first store in Taxco in 1931, and by 1933 silver jewelry and silver objects designed by Spratling had become the major sellers in his shop. Spratling needed talented artists and artisans to create the jewelry for his store, and he was continually on the lookout for new apprentices for his workshop. One day as he was walking down the street, he saw Ana Brilanti in front of her house, and couldn’t help but notice the beautiful designs carved into her door. He inquired and Ana admitted that she was indeed the wood carver and designer, and Spratling persuaded her to share more of her designs with him. Amazed by what he saw, Spratling invited Ana to learn to work silver with him and the Brilanti silver dynasty was launched. By 1940 Ana – like many other Spratling apprentices around that time – felt accomplished enough to go off on her own and, with Spratling’s blessing, opened her first silver store in Taxco, Plateria Victoria S.A. Ana’s husband had created a new technique for making jewelry of both copper and silver, and this combination became one of the distinctive hallmarks of Ana’s line of Victoria jewelry. American department stores accustomed to buying jewelry for their customers in Europe had their supply lines disrupted by World War II, so they started purchasing silver jewelry and objects from Taxco. Ana’s store did so well that her husband left his government job to become Ana’s manager and promoter, and their success lead to the opening of a 2nd store in Taxco in 1958 called Cony. Alejandra was 12 when her father passed away, and it was only then that she really got to know her mother. And despite all of Ana’s success, the woman that Alejandra discovered was still that 10-year old egalitarian at heart. She never spent any money on herself (“why would a person need more than one pair of shoes?”) but continually gave her money to those in need. Not only did she run a small local hospital, she also made all the clothing and sheets that it needed. Alejandra continued to live near her mother after she married Ruben Gutierrez, and the couple only left Taxco and Ana when the tough economy in Taxco drove them to seek opportunity in Mexico’s last frontier, Baja California Sur. Cabo was Alejandra and Ruben’s first home in Baja, but a few weekends in Todos Santos soon convinced them to move north, and for the last 16 years they’ve made their home, built their business, and raised their family in Todos Santos. 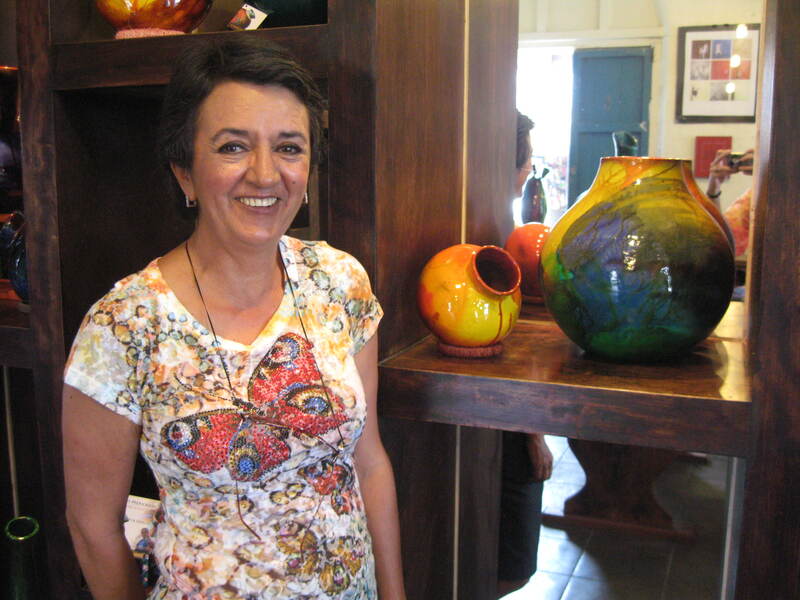 Their beautiful store of pottery, handicrafts and jewelry – Manos Mexicanos – has been in at the corner of Centenario and Topete since its inception. And the magic of our pueblo magico has nurtured the artistic leanings of the family. Shortly after moving to Todos Santos Ruben took a pottery class with a Navajo Indian who had been invited to town by founding artist Charles Stewart and his wife Mary Lou. While Ruben had always been good with clay, that instruction and inspiration set him on a path to creating some the most beautiful and distinctive pottery to be found in Baja. Alejandra and Ruben’s nephew Arturo also found his artistic calling in Todos Santos: he works at Manos Mexicanos by day, and paints every night after putting his children to bed. His works can be found in both his mother’s store Galeria A and Manos Mexicanos. And of course there are the Brilanti silver stores. After Ana Brilanti’s death, Alejandra’s brother Pepe joined her and Ruben in Todos Santos. He opened Joyeria Brilanti, a store that pays wonderful homage to Ana’s beautiful designs. 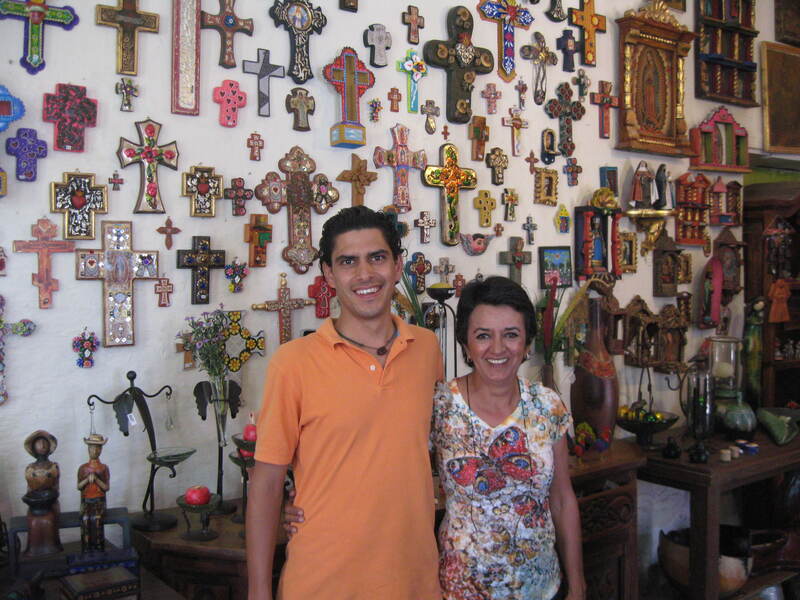 Pepe’s son Rafael also runs a Brilanti Joyeria in Todos Santos, producing silver works based on both his Grandmother Ana’s designs and his own. Given the fierce battles that she fought to pursue her own artistic career, Ana Brilanti would no doubt be thrilled to see her skills, designs, and innate artistic talent blossoming and thriving with her descendents in an artist colony. Her only note of disapproval might be for the Frieda Kahlo Christmas ornaments on sale in her daughter’s store! My Uncle loved to travel to Mexico to buy and invest his money on things that interest him. He business partnered in the US, but I do not know if he became a business partner in Mexico. He died 1989. This entry was posted on November 14, 2011 by Todos Santos Eco Adventures in Culture, Travel Industry and tagged Ana Brilanti, Brilanti silver, shopping Todos Santos, Taxco, Todos Santos, Todos Santos activities, todos santos eco adventures, William Spratling.